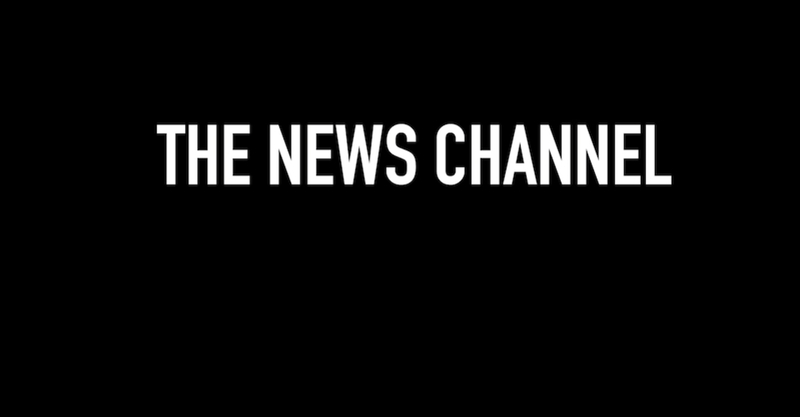 "We are the news channel. The news you can trust. We report the truth." How much do we rely on news agencies to know what is going on in the world? How incredible should a news be to make us lose faith in journalism? As we can't be everywhere and we don't always have the time and the expertise to double check all the news coming to us, building a trust relationship with the news outlets of our choice is essential - and everyday more difficult. Now, in a time where it has become hard to determine what is real and what is fiction, where facts are even harder to believe than the fairy tales and the nightmares populating our dreams, a project by François Bonnot and Deborah Janssens plays with our gullibility and our sense of ridicule to overturn the rules. Welcome to the world of nonsense, where Apple controls its users by making its older-than-two-years devices bursting into flame, where Matteo Renzi changes his birthday on Facebook in order to see who is real friends are, where terrorism forces the Tour de France to be disputed in a warehouse: mashing up dystopia and absurd scenarios, Bonnot and Janssens create a news broadcast of the unbelievable. But if it's clear that the New York Times cannot decide to publish every day the news of the killing of Osama Bin Laden - its best seller edition - in order to overcome a severe financial crisis, the fact that the same amount of craziness is extended to a man assuring to still have total trust in politics ("they are trying their best" he adds) is deeply disturbing. The News Channel was designed in order to challenge this phenomenon we created a dystopic and absurd scenario to the daily news we consume. It combines performance and live streaming while using scaled models as tools and hands as players: the scaled models are fragile objects built from paper and can be demolished and re-built in order to recreate the perfect background for every context. The hands of the players are choreographed with exaggerated gestures from daily news. Its refreshing approach to sketching and designing the dystopian, while mixing it with a nice amount of humorism, is its best feature: the interaction of the use of paper, hands and words transform a tiny installation is a place of discussion and reconsideration of the way we see at the world and of the ways in which we can portray it. This project was part of a mashed up media and design studio at the Salone del Mobile in 2017, at Palazzo Clerici in Milan and was created by Design Academy Eindhoven students and alumni.